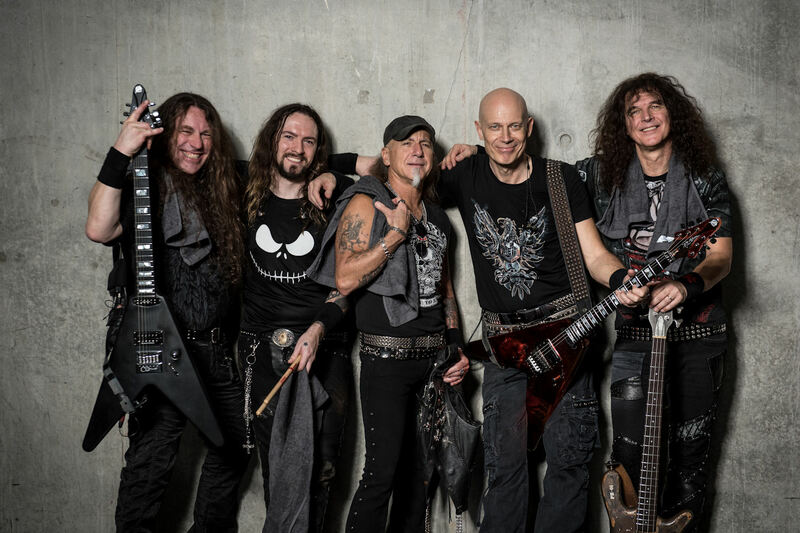 Only days after the release of its stellar new record, Symphonic Terror – Live at Wacken via Nuclear Blast Records , longtime ACCEPT bassist Peter Baltes has announced his departure from the band after four decades. Yesterday he issued a brief statement without any detail about his decision. “Looking back, I will forever cherish the carefree early years, the countless hours we spent writing songs, goofing around or roaming the cities together on tour – just having a good ol’ time! One thing is certain, however: ACCEPT will continue full steam ahead !! There is no word yet who will replace Baltes for live events. Those are big bass strings to fill. 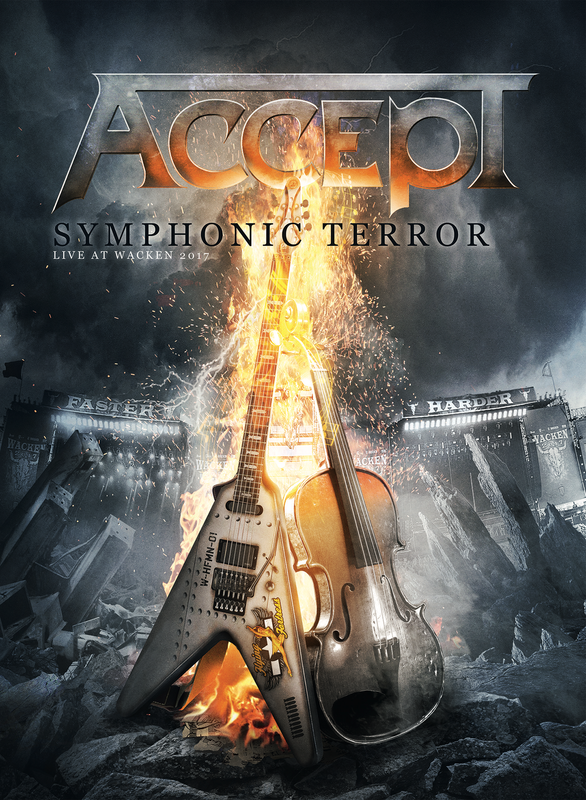 Accept is set to play 70,000 Ton of Metal in January before kicking off its Accept and The Orchestra of Death – Symphonic Terror Tour 2019 next Spring in Germany. Baltes and Hoffman were the bands remaining original members and primary songwriters. This year marks the 10th anniversary of vocalist Mark Tornillo with the band, which has seen a massive renaissance over the last decade on the heels of crushing studio albums Blood of the Nations, Stalingrad, Blind Rage, and 2017’s, The Rise of Chaos. Guitarist Uwe Lulis and drummer Christopher Williams joined the band in 2015. 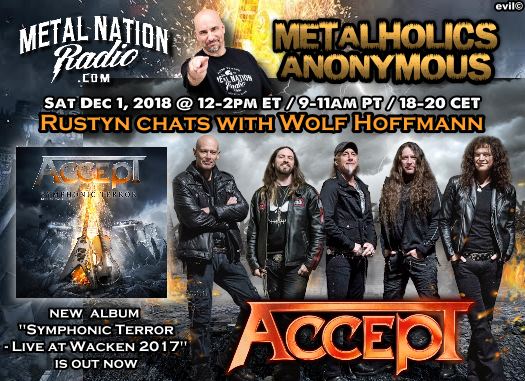 Join Metal Nation Radio this Saturday, December 1st at 9AM PST – Noon EST and 1800 CET, as we talk with Wolf Hoffman about Symphonic Terror – Live at Wacken, The Rise of Chaos, the 40th anniversary of the debut album, and next year’s tour; a conversation we had just 3 days before Baltes announced his departure.